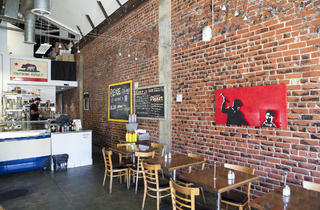 Follow the skaters on Fairfax into intimate burger joint the Golden State, in the running for best burgers in LA. 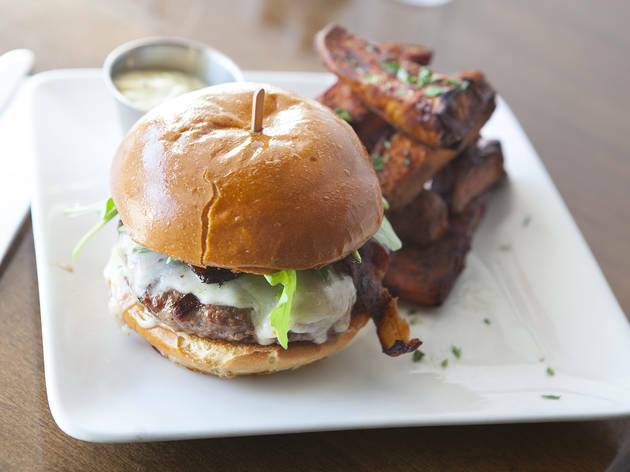 Their locally-sourced the Burger ($12) is so mouth-watering, you’ll daydream about it weeks later. We recommend pairing yours with crispy sweet potato wedges ($4) dipped in curry ketchup and washing it down with a beer float ($8), made with brown-bread Scoops ice cream dipped in North Coast Brewing’s Old Rasputin stout. Bonus: Golden State sources as many fresh ingredients as possible from (you guessed it) California. Solid spot for some casual lunch or dinner on Fairfax. Unfortunately the seating is a bit limited and it can potentially be a bit tough to grab a table depending on the time of day. In addition to good burgers and local beers, this spot also has ice cream on hand at the counter -- something I wish more spots had available as well...since I love ice cream. 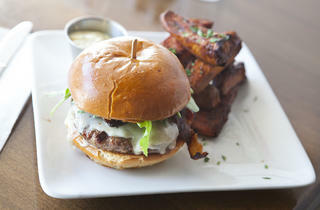 When I came here, I got the lamb burger and really enjoyed it -- lamb patty, gruyere, yogurt and dill sauce, etc. This place probably makes one of the best burgers in the city. It's juicy and fresh. 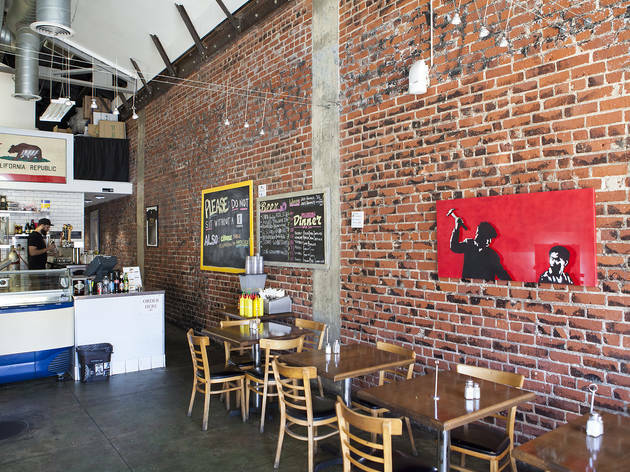 The Golden State is right on Fairfax so you can make a night of it by grabbing a burger and then checking out a screening at the Cinefamily (Silent Movie Theater) down the street.